Keyword research is a fundamental part of search marketing, whether you're primarily running pay-per-click (PPC) or paid search marketing campaigns, or you're looking to improve your organic search engine optimization (SEO) results. What is keyword research? Keyword research is the process of identifying and optimizing your site for the specific words that people are typing into search engines. Since it helps you connect with the right audience at the right time, keyword research is a crucial element of a successful search marketing campaign. If you want your site to rank well for relevant, intent-driven keywords and earn healthy organic traffic, understanding how to conduct keyword research and recognizing which keywords are worth your focus is essential. Continuously discover quality, targeted new keyword opportunities to gain a competitive advantage. Effectively and continuously turn your keyword research into action. Make keyword research a supporting piece of your overall search marketing efforts so that your researched keywords actually lead to profits for your business. So the question becomes: How do you, the search advertiser, go beyond a static list of keywords to create a continuous stream of keyword phrases that improve your bottom line? How do you discover and research keywords that will drive relevant traffic to your business? WordStream's keyword research tools make researching profit-driving keywords easy. You can quickly and easily find new keywords for your business, organize long lists of keywords into workable groups, and even evaluate the performance of your existing keywords, all using WordStream's new and improved Free Keyword Tool. A Keyword Suggestion Tool - Our Keyword Tool pulls suggestions from our massive database of unique search queries. Finding new keywords has never been easier. A Keyword Niche Finder - The Keyword Niche Finder returns structured suggestions. Niche keyword research is key to great PPC and SEO campaigns. When your keywords are pre-grouped into related clusters, it's easy to put them to use on your site or other campaigns. A Keyword Grouper - Already have a list of keywords? Just drop them into the Keyword Grouper and they'll be automatically and instantly organized into actionable groups. These tools return extensive, targeted data you can use in your search marketing campaigns, both organic and paid, offering the best keyword research you can find. While using keyword tools is an essential part of any keyword research strategy, these tools will help you become a keyword research pro, guiding the way for keyword research analysis that can boost your business in enormous ways. Use a competitive keyword research tool to determine which keywords offer the best compromise between relatively high volume and relatively low competition. Less competitive keywords are easier to rank for in organic search and less costly in paid search. This will help you prioritize your keyword research. For a more detailed guide, check out our Easy Guide to Keyword Research for Businesses. What's important to understand about keyword research is that a list of keywords, in and of itself, isn't very helpful. To see traffic and profits from those keywords, you need to put them to work in keyword-rich web copy, including product pages and blog posts. Keyword research isn't just useful for organic search engine optimization. It's also crucial for your paid search campaigns. Google Ads (formerly known as AdWords) keyword research is essential to a winning PPC account as you learn how to find profit driving keywords. 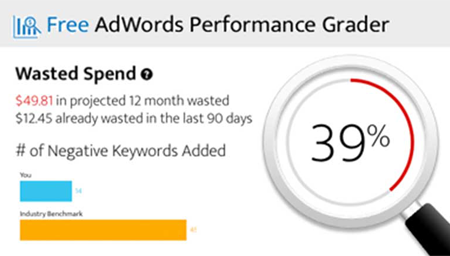 If PPC is your focus, check out our top-rated Google Ads management platform, WordStream Advisor.